Sample photos from the new 24.3 megapixel Sony Alpha A77, with 12fps shooting, New OLED electronic VF, Full HD Video, and tilting screen. Taken with the new DT 16-50mm f/2.8 SSM lens, and 70-400mm telephoto zoom lens. The new Sony Alpha A77, will be available with a new 16-50mm f/2.8 SSM lens, and produces 24.3 megapixel images from an APS-C sized sensor. Full HD video with continuous auto focus is also available. 12fps shooting is possible at the full 24.3 megapixel resolution with continuous auto focus. Here are photos taken with the camera and a variety of lenses, notably the new 18-50mm f/2.8 lens, and the 70-400mm Sony G lens. On the new OLED EVF: The A77, A65, NEX-7, and NEX-5N EVF, all use a new OLED electronic viewfinder developed by Sony, with a 2.359 million DOT resolution, with the new OLED technology, compared to traditional LCD EVFs, the OLED does not show chromatic aberations at the pixel level, as the pixel level does not have to show RGB at each level, while traditional EVF do. 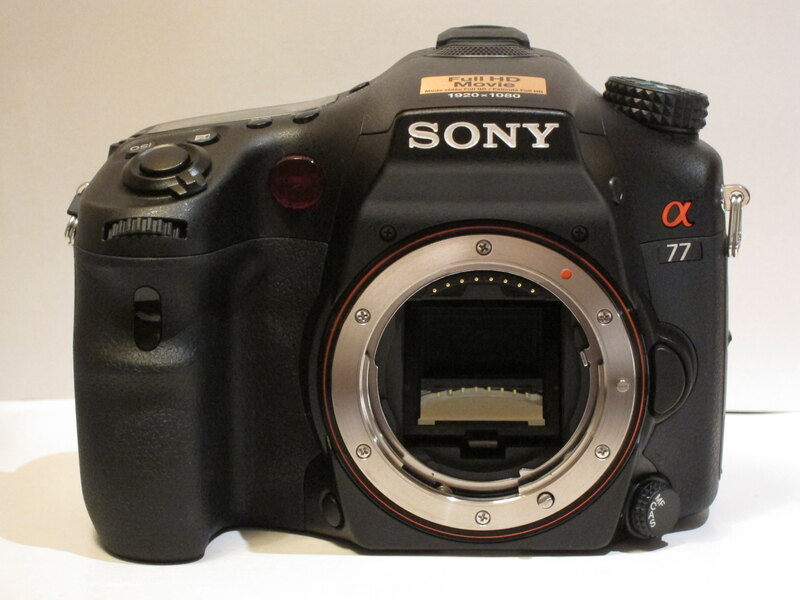 The A77 used is a pre-production model, so quality may improve further before release, the camera was left on default settings. Click to view larger, or click "Hi-Res" to view full size sample photos. how does the new sensor compare to older 16MP sensor seen on A580 and A55? also it would be very interesting to if any of current lenses on market cope with the increased pixel count. I am curious, were the photos shot as JPG? NR on? THe reason I ask is the 400mm shots. The one of red flower looks spectacular with sharpening. The one near the water is pretty mushy. THis isnt the camera's fault. ITs the steady shot from sony. When the lens is at 400mm slow shutter speed and hoping steady shot will do the job ( it nees about 1/800th in that situation cameras without steady shot would need twice that! (yes! I am a Pixelpeeper) Again Really spectatcular!! I am curious, were the photos shot as JPG? NR on? THe reason I ask is the 400mm shots. OT, but I'd really like to know, where the shots have been made. I guess it is somewhere in Greece? My problem with my A850 is noise in dark areas, and no object tracking. I do find in flight kingfishers quite tricky on a river surrounded by tall trees. Could the A77 be my answer? I think it is.The pictures above and the ones taken from the speed boat, seem to prove that. In the next couple of days I should find out. My problem with my A850 is noise in dark areas, and no object tracking. I do find in flight kingfishers quite tricky on a river surrounded by tall trees. Could the A77 be my answer? I think it is.The pictures above and the ones taken from the speed boat, seem to prove that. In the next couple of days I should find out.